108 – Last Chance to Subscribe! We are gently mopping our fevered brows following frenetic deadline day activity and post deadline day beer. As ever, Issue 108 is full of features to make you wish you hadn’t wasted the summer holidays lazing by the beach. But all is not lost: there is still the Indian Summer; the golden days of autumn; the misty mornings of harvest time. Not the perpetual rain of doom, the grey skies of oppression. Nope, that is not coming our way. Well, it might, and if it does this will be but water off a duck’s back, or your bottom, since among other things we’ve been testing waterproof shorts. Buy some. If it rains you’ll be glad, if it doesn’t rain, you’ll still be glad. And what else are we bringing you? Well look here, there’s a contents page. Pete Scullion follows one of the Lake District’s coffin trails, from graveyard to pub. Oli Townsend checks out England’s newest long distance trail. 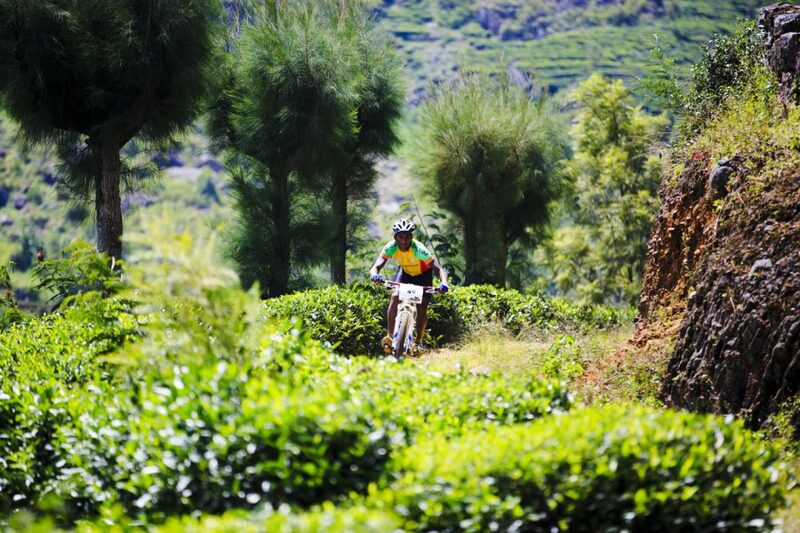 Jason Miles races across Sri Lanka, fuelled by tea, coffee, and a fear of elephants. Tom Fenton revisits the remote, and rather wet, Doethie Valley. Is it as good as he remembers? Resident Grumpy Mark presides over your submissions to Room 101. 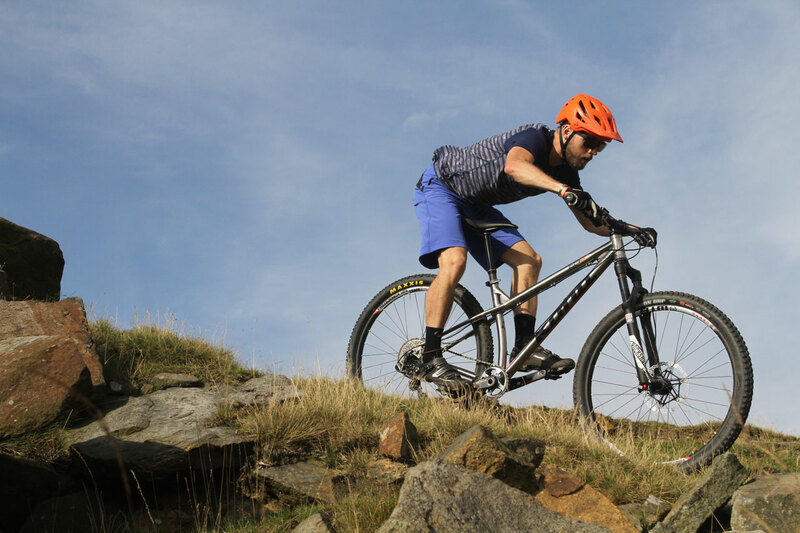 Tom Hutton explores the rolling hills and standing stones, while testing Murphy’s First Law of Mountain Biking. We’ve ground our gussets, soaked our seams, and wet our waistbands in search of shorts to keep our derrières dry. Jason Miles stops stroking and staring at three polished 29er lovelies from J Guillem, Kona and Stanton and takes them out to see whether they ride as well as the look. An array of goods sprinkled with summer rain, ground in summer mud, and very occasionally exposed to actual direct sunlight. 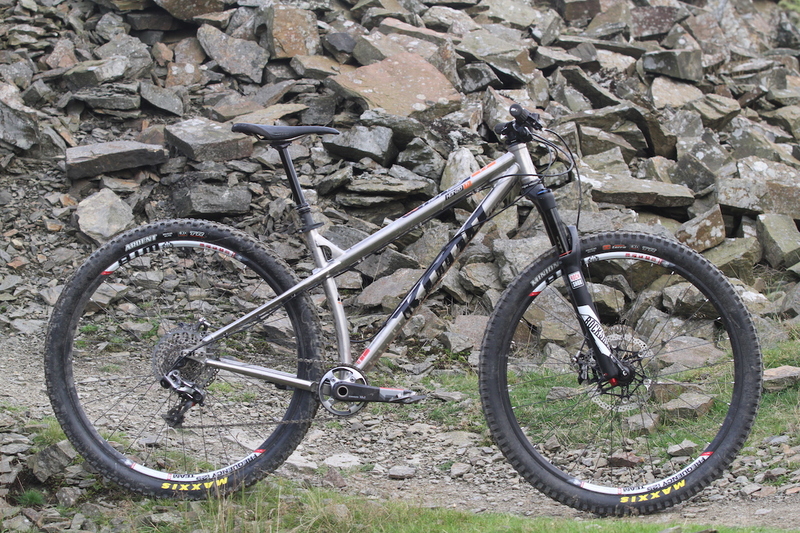 Scott’s plus size hardtail put through mile after mile of testing. Our Rob heads off on his summer holidays, which prove somewhat damp, but nonetheless fun. Chipps goes riding in the wilderness with the varied characters who will be promoting the Blackburn brand this year. That’s about it. 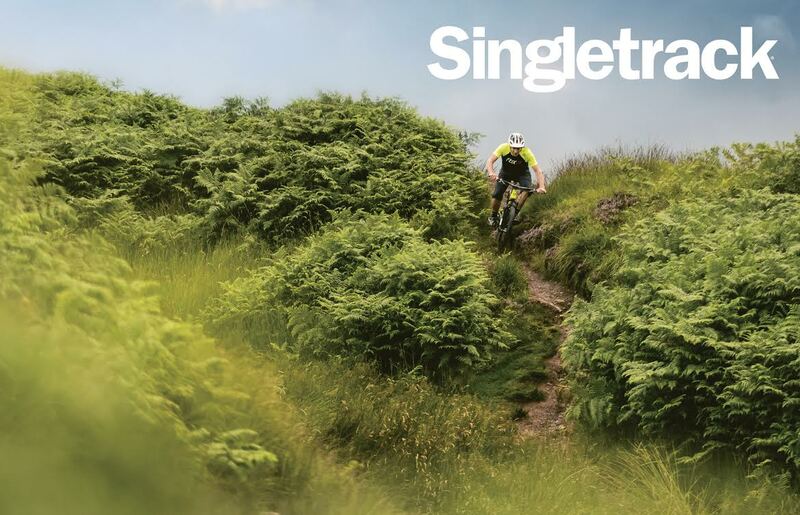 The magazine will be on sale in Singletrack Premier Dealers and other shops on Thursday September 8th. Remember, only the Subscriber Edition (and the Premier Dealer Editions) get the extra big issue of the magazine with another 16 pages of content. 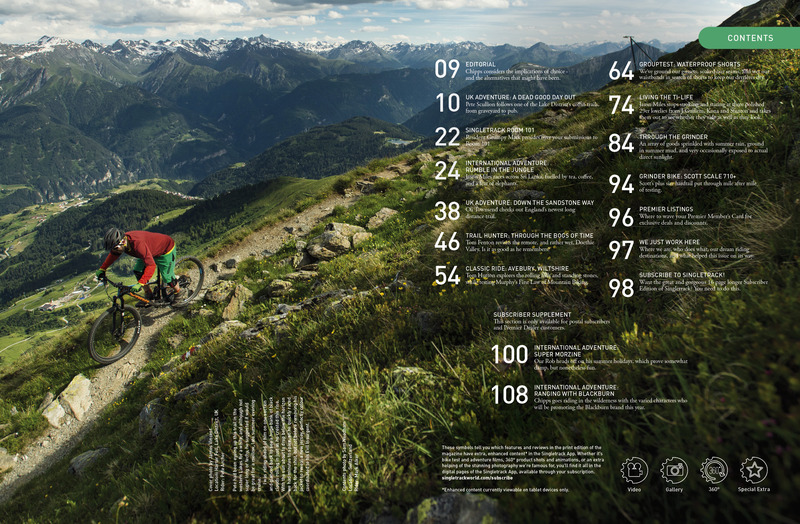 Issue 108 – Pre-order Now! Sirs, can we have fewer bike/road trip features and more variety? How about stuff like midweek ride club profiles, nutrition, training, a bit of race coverage, marathon events, more gear tests, fettling, custom builds, fantasy bikes, clothing on and off the bike, bike-life balancing, manufacturer visits, etc, etc. ^ well said, be good to see a bit more on home based stuff? Pretty much the list Jim has is good. Similar to how ST was in the mid-to-late 2000’s, but with better photos.